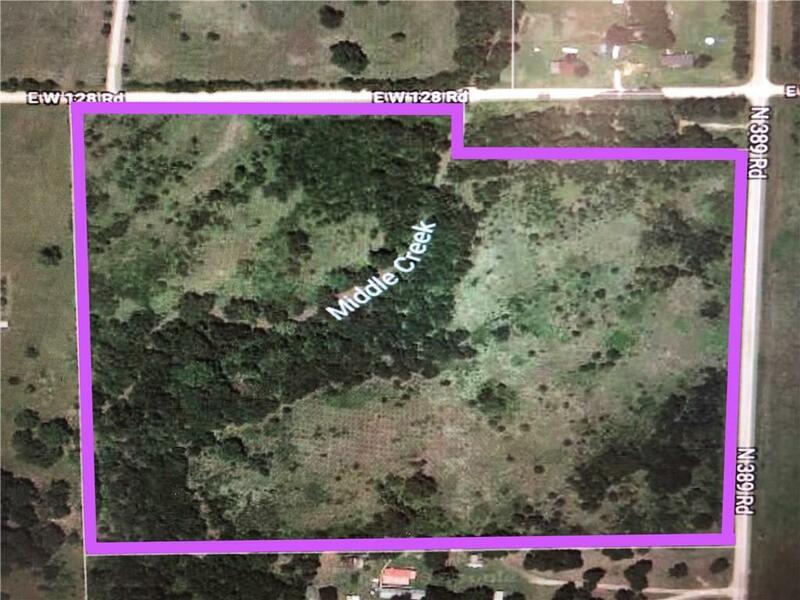 35 acres located on N 389 Rd and EW 128 Rd. Middle Creek runs through property. Great hunting land.